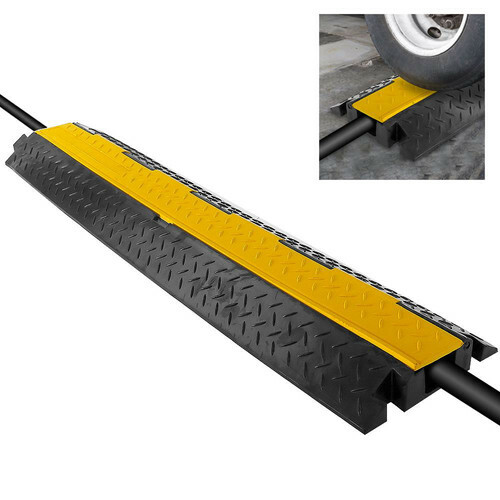 The single-channel Cable Protector Safety Concealment Track with flip-open hinge from Pyle conceals cables, wires, tubes, and pipes with a hassle-free cover ramp track. It is constructed with an engineered thermoplastic rubber designed to be durable, and it is marine-grade waterproof rated. You can connect and extend additional tracks as needed. The track is safe for pedestrian walking and lightweight vehicle traffic for indoor or outdoor use. Box Dimensions (LxWxH) 40.0 x 10.0 x 3.0"